A Creative Cookie: I'm Co-hosting a Bloglovin' Blog Hop! 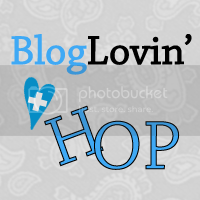 I'm Co-hosting a Bloglovin' Blog Hop! Bloglovin' is a site where you can follow your favorite blogs, and be notified each time those blogs write a new post. Go and sign up to Bloglovin' so that you can join in this Hop too! They are the first 6 in the linky and they will follow you back. 2- Link up your Bloglovin' page (not your blog). This is will help increase the success of this Hop, driving more traffic to YOU! Of course we would love it if you would Facebook or tweet about it.